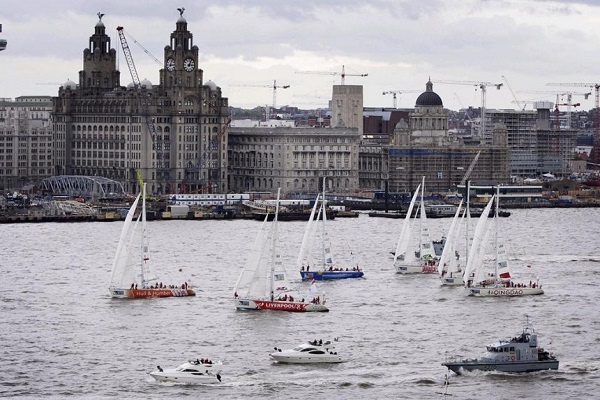 After ten years since its last appearance in Liverpool, the Clipper race will be sailing its way back to the city this August. The world-famous 40,000-nautical mile event is set to attract thousands of visitors to catch the action as the yachts set sail from the Albert Dock on Sunday 20th August. The biggest round-the-world boat race will see the yachts return around 11 months later in Summer 2018 so you’ll have to stay patient for the big finish! Liverpool is a city renowned for hosting world class events and in 2017 our UNESCO World Heritage waterfront will once again become a world stage as we host the Clipper 2017-18 Race – one of the biggest challenges of the natural world. This unique challenge brings together everyone from chief executives to taxi drivers, nurses and firefighters, farmers, airline pilots and students, from age 18 upwards, to take on Mother Nature’s toughest conditions. Albert Dock Liverpool are proud to be the starting point for this world-famous yacht race with a week-long celebration from August 14 through to the start of the race on August 20. During the week long build up, the Clipper Race Village will be open for all visitors to learn more about the biggest round the world race and enjoy festivities to send off the intrepid Clipper Race crew in style.